Thank you for renewing your annual membership in the St. Linus Men’s Club. Renewing is quite easy…. 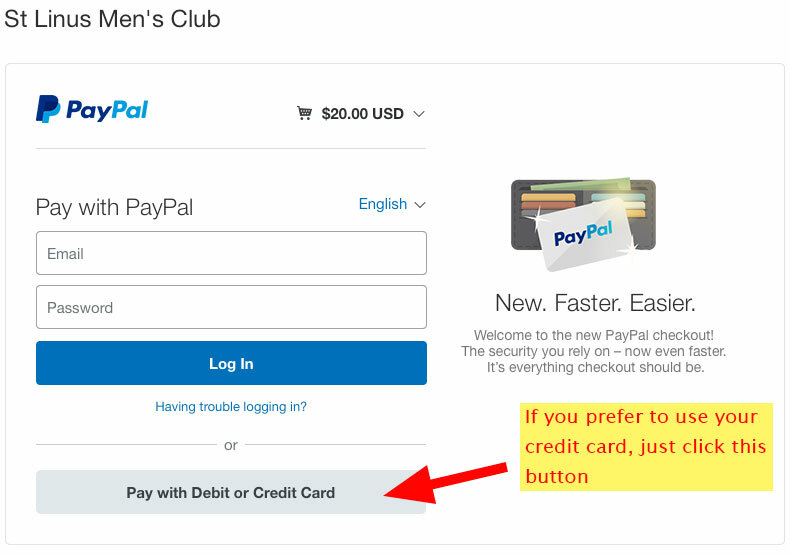 Just login below and pay with your credit card via PayPal (or use your PalPal account if you have one). After you renew, your status will automatically be updated for 2019 and you’ll continue to be able to register for ‘member-only’ activities. Existing members need to login to renew membership. If so, login here and then you’ll continue to the membership renewal form. Become a St Linus Mens Club Member here.